I fixed some things not so long ago before the new year and I was able to take a picture of my collection of stickers. I was a bit overwhelmed because it’s been awhile since I bought new ones, actually I bought new ones this new year and December because I couldn’t resist! Heehee. 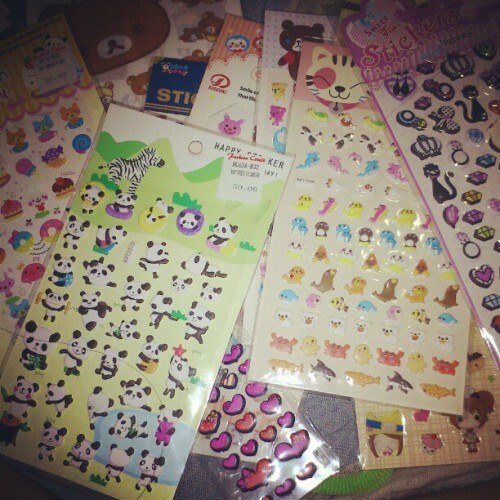 I saw some cute ones while at the Fashion Circle in where, I lost some cute stickers that were supposed to be mine. That’s another story..but, oh well.